Hogarths Stone Manor has been newly refurbished throughout, boasting modern contemporary rooms, an AA rosette-awarded restaurant and beautiful grounds to explore. 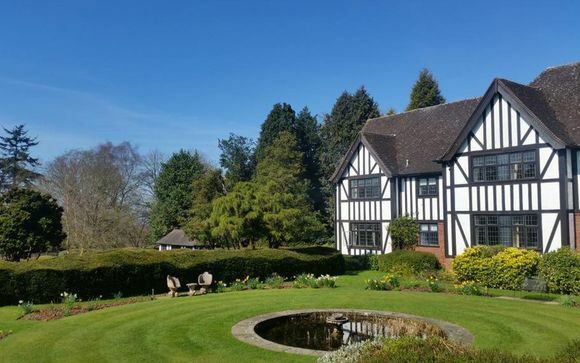 Set in 25 acres of landscaped gardens, in the stunning Worcestershire countryside. Enjoy a bottle of house wine on arrival - the perfect way to begin a relaxing break! Famed for its eponymous condiment, invented by two Worcester chemists in 1837, Worcestershire marks the transition from the industrial heart of the Midlands to the peaceful countryside of the Welsh Marches. The southern and western fringes of the county burst with lush countryside and sleepy market towns, while the capital is a classic English county town, whose magnificent cathedral inspired the composer Elgar to write some of his greatest works. Worcester has enough historic treasures to forgive the architectural eyesores from the postwar love affair with all things concrete. This ancient cathedral city was the site of the last battle of the Civil War, the Battle of Worcester, which took place on 3 September 1651. The defeated Charles II only narrowly escaped the pursuing Roundheads by hiding in an oak tree, an event still celebrated in Worcester every 29 May, when government buildings are decked out with oak sprigs. There are various family attractions nearby, such as the West Midlands Safari Park and the famous Severn Valley Railway. 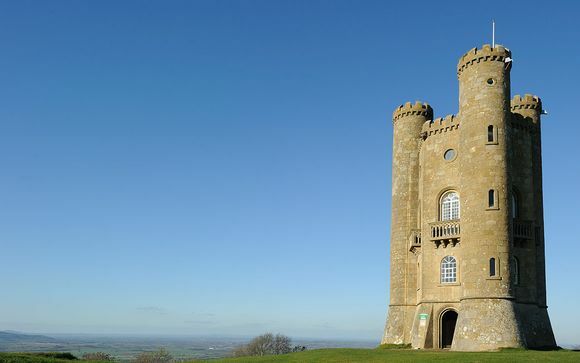 English Heritage abounds here, with many National Trust properties dotted around the county, alongside Broadway Tower and the impressive Worcester Cathedral. Be sure to visit Warwick Castle, alongside Shakespeare's Stratford-upon Avon and the Cotswolds! Take a magical steam train journey from Kidderminster through the countryside to Bridgnorth, or visit Drayton Manor Theme Park in Tamworth - a day out destination for older thrillseekers as long as the little ones. The original Stone Manor sat majestically amid the estate grounds for many years, dating back to the Doomsday Book. Sadly this magnificent building was destroyed by fire. In 1926, James Culcheth Hill rebuilt Stone Manor as his private dwelling with many of the timber structures being re-sited from the last English "Man-of-War" fighting sail ship, the H.M.S Arethusa, to go in to battle. 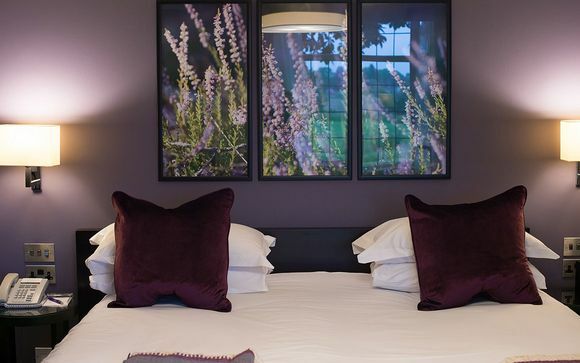 In 2015 the Hogarth family purchased Stone Manor and after a £2.2 million refurbishment programme, the hotel is now a smart boutique country house hotel. Set in 25 acres of landscaped gardens, Stone Manor exudes comfort and elegance. You'll feel right at home in your refurbished modern bedroom and are guaranteed to love the cuisine at the AA rosette awarded restaurant! The Stone Manor Hotel has 56 attractively furnished rooms, all en-suite, with television, tea/coffee making facilities, trouser press, hair dryer, direct dial telephone, free Wi-fi and 24 hour room service. Many rooms overlook the stunning landscaped grounds and gardens. 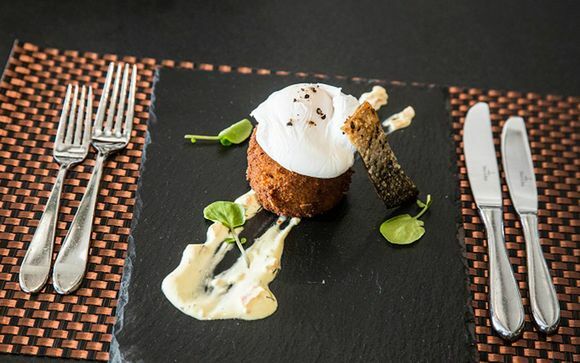 Our members can choose between a bed and breakfast stay or a half board stay (breakfast & £28 towards your evening meal in the main restaurant - excludes drinks). Enjoy a daily full English breakfast from the comfort of your hotel. The highly acclaimed executive chef Paul Harris and his team welcome you to the AA Rosette Awarded Restaurant at the Hogarths Stone Manor Hotel. An extensive wine list from vineyards around the world adds to the pleasure of an unforgettable dining experience. Fresh food delivered daily ensures the finest quality of cuisine. The menus are always imaginative and of the highest standard. Offering either a fixed price 2 or 3 course menu or a seasonal A la Carte menu, featuring specialty dishes including the renowned flambé dishes. Follow the A456 from the city centre to Kidderminster. After approximately 11 miles, on reaching Hagley Village, take the A450 to Worcester (there is a petrol station on the fork of the road). Follow the A450 until a small island at Mustow Green is reached (this is next to a car showroom). Turn right at this island onto the A448 Kidderminster and the hotel is situated about 100 yards on the left hand side. Leave the M5 at Junction 3 (Halesowen/Stourbridge) and take the A456 to Kidderminster. Directions are then as those above. Join the M42 South (Redditch/Bromsgrove) from the M40. Leave the M42 at Junction 1. Turn left into the A38 towards Bromsgrove. Continue on this road until you reach an island with a right hand turn for the A448 to Kidderminster (look for Bromsgrove Golf Course on left hand side of island.) Follow A448 until Mustow Green island is reached, continue over and Hotel is on left hand side. Leave M5 at Junction 6, take the A449 towards Kidderminster. After approximately 14 miles take the A450 towards Birmingham, until reaching the second roundabout. Take the A448 towards Kidderminster, the Hotel is on the left hand side (approximately 200 yards).